During a lazy summer at a lakeside cottage with his parents, Adam's dull routine is shattered when he meets Riley and Nate, local trouble-making cousins who fight their boredom with debauchery and petty crime. What begins as friendship will lead the boys to a powerful revelation that changes their lives forever. Guaranteed to ship today if ordered within the next 2 hours and 35 minutes. 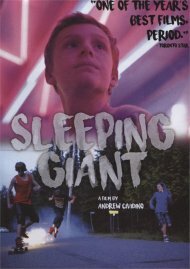 Giants is a majestic and haunting ride through the backwoods of a Canadian summer, an emotional journey of youthful liberation. The film won the Best Canadian First Film Award at the Toronto Film Festival and was an Official Selection during the prestigious Cannes' Critics Week. It's al;so been earning race reviews from critics. Globe Mail called it "a masterpiece" and The Toronto Star called it "one of the year's best films, period." Length: 1 hrs. 31 mins. Over the course of an emotionally tumultuous summer, a trio of teenage boys hang out constantly, but unease is quickly building. They go skateboarding and cliff diving. They drink, smoke weed and set off fireworks with little regard for their safety, but eventually their personality differences cause major rifts. Adam (Jackson Martin) comes from a well-off family, but his world is thrown out of alignment when he learns that his dad is cheating on his mom and by the arrival of a girl he has a crush on. Nate (Nick Serino) is a troubled kid living with his grandmother. He constantly teases his friends in the meanest possible ways, not caring what anyone thinks of him. Riley (Reece Moffett) is sweet natured and has come to stay with cousin Nate following a family tragedy, and he's torn between wanting Adam's seemingly idyllic life and Nate's devil-may-care attitude and being his own person. The film is a near-perfect depiction of the most awkward part of adolescence: the point where you realize your friends can betray you and let you down. This is an observation of friendships made of convenience. We get an idea that Adam, Nate and Riley would never be friends in a larger community, but in a smaller area with less to do, they have little choice. They make the most of things while they can, but after a few weeks together they appear to be going through the motions because there aren't other options. Adam will slowly realize his dark side. Nate will double down on his nastiness. Riley will slip up and do bad things, but by the end he'll be the most heroic and likable of the bunch. They're teens that think they know everything about their world until they're into dealing with adult problems and then they lash out from fear. Most young men wouldn't admit this was their childhood, but in the parts of their memory they don't often like to access, they know it to be true. If they weren't one of these main characters, they knew them. That's not to say that Adam, Nate and Riley are archetypes. The three leads all give fully realized and shockingly mature performances. 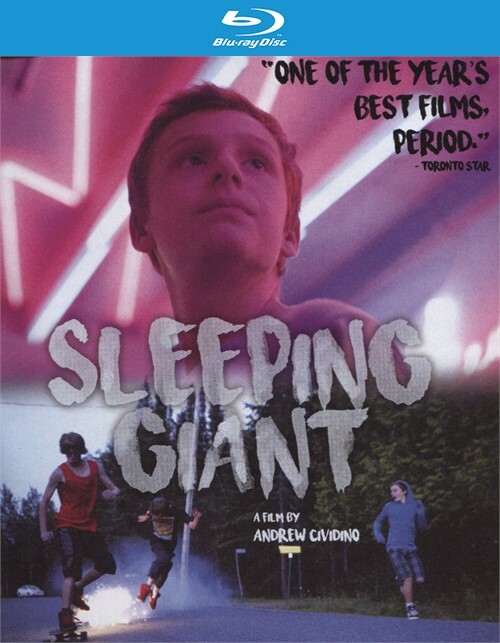 The first half of the film sets up the teens as individuals and a unit; the second half employs a number of shocking, necessary and earned twists. It builds to a pair of scenes (a breakdown at family board game night and a dangerous dare between friends). Director Andrew Cividino wastes little time with extended character introductions. Although there are moments of humor, loyalty, and tenderness in the film, the raw power comes from exposing the ugly side of adolescence as it explores the tenuous relationship between the three teenage boys. The film is, by turns, subtle, vicious, and heartbreaking. It leaves the viewer feeling sad, hollow, and grateful that being a teen happens only once in life.